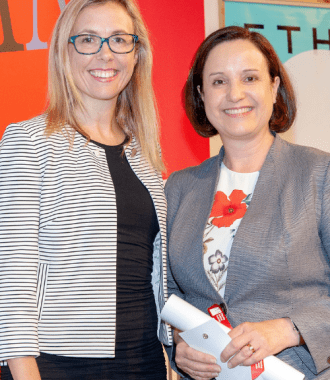 The 2019 Women’s Planning Network Female Achiever of the Year (FAY) Awards were presented at the Planning Institute of Australia (PIA) International Women’s Day Breakfast held on Thursday 14th March. The FAY Awards this year saw a record number of nominees. The nominees were all strong leaders, great mentors, and role models, dedicated, passionate and hardworking, often with little recognition. They represent an incredible depth of female talent in our profession in Victoria. 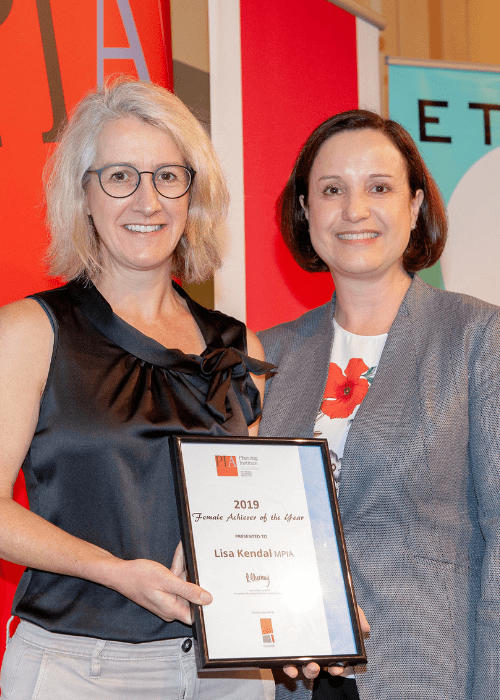 Hansen Partnership Director, Sandra Rigo was delighted to announce that this year’s recipient of the FAY Award – Lisa Kendal, Manager Strategic Planning at the City of Ballarat. Lisa is driving the largest strategic planning program ever attempted in the City of Ballarat, pursing it in new and innovative ways. Lisa has contributed to the profession extensively, supporting and inspiring women in planning with her engaging and inclusive approach. Hansen is proud to sponsor this award and celebrate the contribution that women make to planning in Victoria. The 2019 Planning Institute of Australia (PIA) International Women’s Day Breakfast was held at the Myer Mural Hall on Thursday 14th March….